PhotoCake® is a registered trademark of DecoPac, Inc. Celebrate with your #1 Hunter by presenting them this cake at their next celebration! 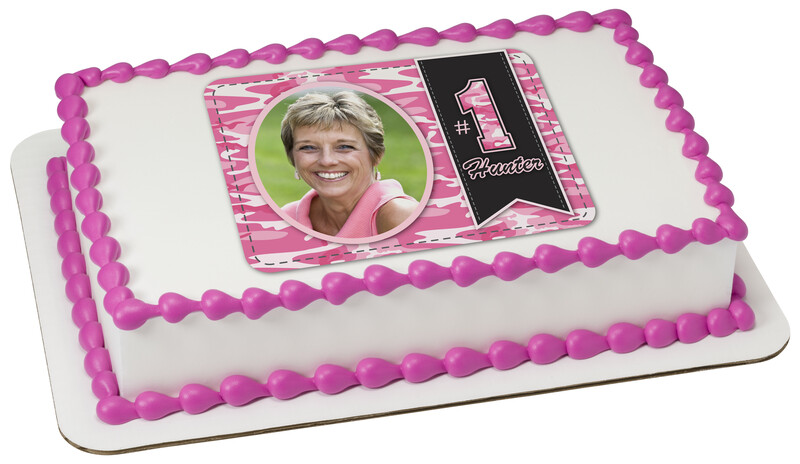 This Edible Image® Printed by PhotoCake® is a pink camo design with a frame area to add your personalize photo. Order and personalize your cake today.